Bridal Sale Day FLASH SALE! For brides who are bargain shoppers and love a good sale, this event is for you! We will be hosting a FLASH SALE on almost ALL of our couture gowns on Saturday, September 16th, which is only a few weeks away! Appointments will be run in ONE hour increments to accommodate as many brides as we can. The starting price point for these gowns will be $199!!! You won't want to miss this! 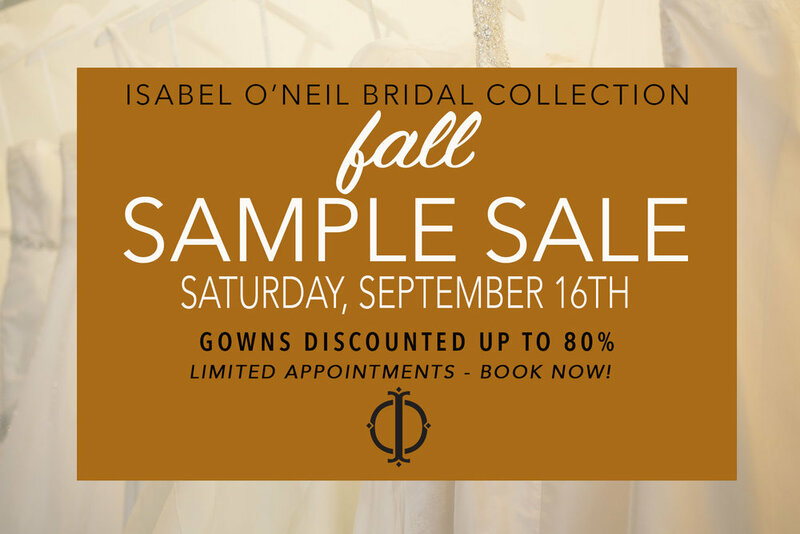 This sale is by appointment only, call us at 813-251-1749, email info@isabelbridal.com, or book your appointment online. Appointments are limited and will go quickly!